Engagement sessions are my favorite! Accessories: Add one or two accessories can really help bring some extra dimension to your images. Smaller, delicate necklaces are not as noticeable on camera, so keep that in mind. Belts, bracelets and earrings bring great visual interest, so choose one or two that don’t compete for attention, especially with the ring. A flower crown or bouquet can be a really romantic touch to the photographs as well. A rule of thumb, put on all your jewelry and then always take off one piece. Hair, Makeup, Nails & Ring: If you are going to working with a makeup artist, have her apply your makeup in natural light and tell her it is for a photography session. They will create a look is fresh and not too heavy. This will also help since the type of light we will be shooting in is natural light. This will give you the best expectation of how it will translate on camera. Most of our soon-to-be-brides feel like their makeup is “too much” at first, since it’s more than you would wear on a normal day, especially when it comes to false lashes. Do not worry, it will photograph well, they are the experts! Good makeup artists know how to get it just right for the camera — and you'll love the final result. If you need a recommendation for hair and makeup, I work with the best in the business and have a great go-to team! They are talented and know exactly what to do for you session. Don't forget your ring will be center stage, so give yourself permission to get it cleaned and your nails done, as well! Hey Soon to be bride, here are some tips for you. 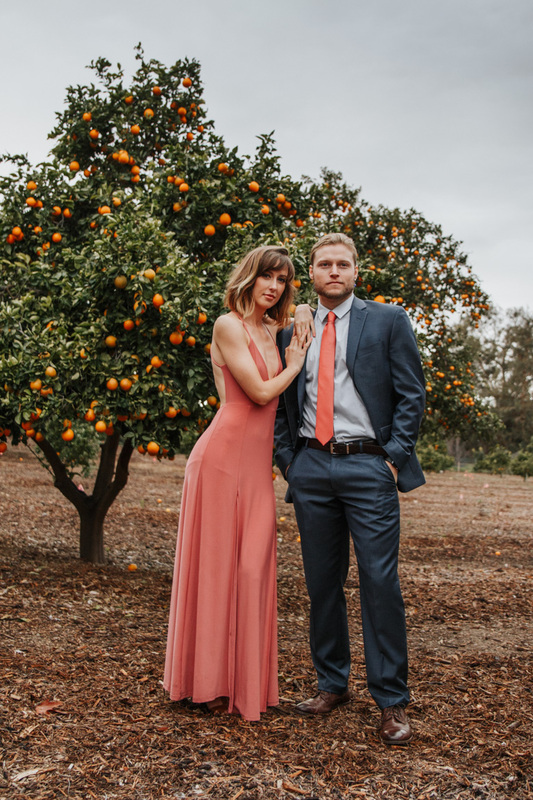 Outfits: When doing an engagement session, most couples have two outfits. The BEST advice I can give you about outfit selections, would be to try to not to do the matching thing, but to coordinate you outfits. Try to stay away from really tiny patterns, they won’t show up in your images. More solid, or large patterns show up better. Saying that, please make sure logos are not visible on clothing. Most importantly, make sure you look like YOU and feel comfortable in what you are wearing. Most of my soon to be Brides choose two outfits, they will bring one “wow” dress, and then another shorter sun dress, or pants and a nice blouse for a more casual feel. But if you want to bring two “wow” dresses and forget about the more casual dress altogether, give yourself permission to do just that! Remember, you don’t have to bring two looks, especially if it’s too stressful or you’d rather just stick to one fabulous look. Color: When you go to choose the colors for your outfits, I recommend selecting lighter tones and more muted shades. By avoiding ultra-bright, bold or neon colors. This will help bring more attention to your faces and gravitate towards looking at the way you feel about each other. That softer color palette fits beautifully into almost all natural outdoor environments. Now let's talk about the Fashion tips for him. Let's be honest being dapper never goes out of style! From James Bond to Barney Stinson, MEN look most striking in a well-tailored suit. If he doesn’t have one, now is the most perfect time to invest in something he will wear for the rest of his life! The best part? It’s a lot less expensive than you might think! While custom suits can cost thousands of dollars, some of the most well-known brands have off-the-rack suits in their stores for a fraction of the price. When going for colors, solid colors like gray or navy help complement to most women’s outfits. You know your groom better than anyone else and so only you can help prepare him for this shoot. If your fiance' is completely unaware of this style of photography, he is going to think it’s really strange when I tell you two to “Nuzzle up” or get “Nose to nose”, or even just do some super romantic moments in front of the camera. I am sure he expecting a few pictures smiling at the camera, showing off the ring and that’s it! So it’s your job to explain to him why you love this style of photography and help him know what to expect! I do suggest sitting down with him and showing him 3 of your favorite sessions that I’ve shot to give him an idea of what he’s about to experience! 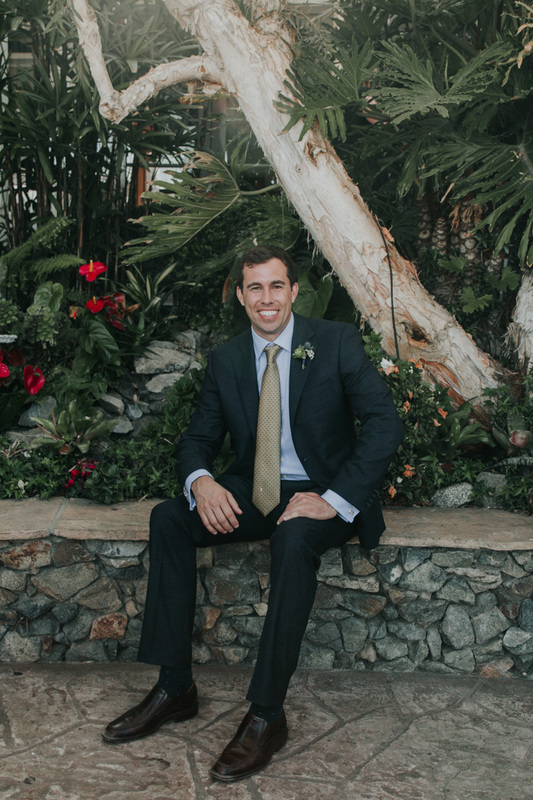 Mix a suit, coat and blazer, or even a sport coat with a different pant color. It will add some extra visual interest to your outfit, and can be more fun than wearing two full suits in a row. I'm a big fan of the classic look, no man has ever looked bad doing that look. Layering and men are a great combo, and always look great on camera, so even when it’s hot outside, trust me when I say that it’s worth an hour of discomfort for photos that will last you both a lifetime. Adding another layer will bring extra dimension and visual interest to your photos. Blazers, vests and coats up the level of any look. Take into consideration on adding a v-neck sweater with a little bit of pop in color, a long-sleeved collared shirt and tie underneath. Do not hesitate to be creative with layer options you have. Be On Time: Yes, please be on time, this is really important. What most couples don’t realize is that natural light photographers are 100% dependent on the sun and if their couples show up late, they will lose that amount of time during their session due to the lack of light. Now I realize that things happen beyond out control like massive amounts of traffic and accidents. If at all possible, try to be on time so that you don’t lose any of your shooting time and pretty sunlight! What to expect from your photographer: As you are preparing for your engagement session, just know that I do not expect you to be a pro at this. I work with normal, everyday couples ALL the time. I hardly ever work with models! I can’t speak for all photographers out there but I tell my couples that it takes a good 20 minutes to warm up at the beginning of their shoot. So relax and don’t be nervous! You’re going to be great at this! Trust your photographer, allow them to be creative and you’ll have an amazing shoot! I promise I will make this fun as possible, and that is only possible if you have an open mind. And do not forget to just breath! Don't forget to plan a dinner date! You’re already going to be all dressed up! Why not take advantage of it? 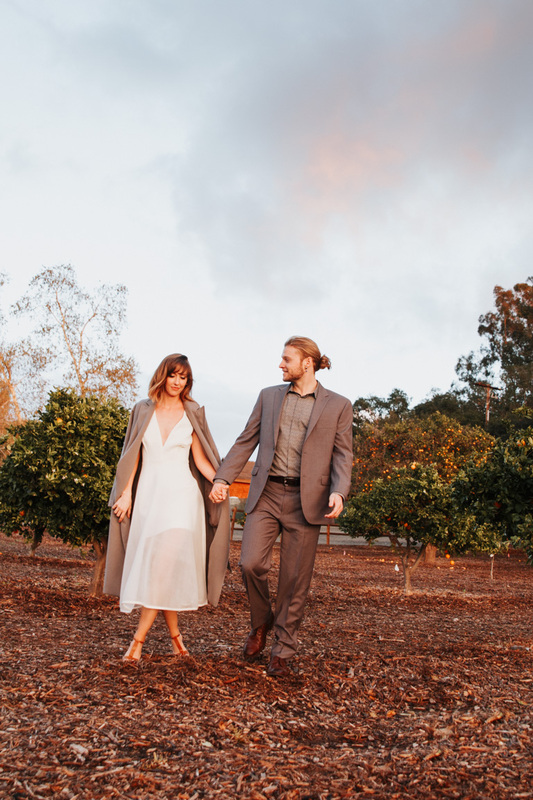 The wedding planning process can feel all-consuming, so take some time after the session just for the two of you to relax and have some fun together. You definitely deserve it!